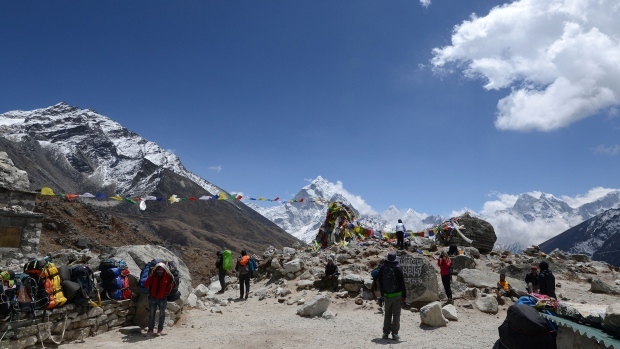 China has banned tourists from accessing its Mount Everest base camp in Tibet amid an ongoing campaign to clean up trash in the mountainous region, said state media Friday. The ban applies to "ordinary tourists", not those with climbing permits, reported official news agency Xinhua. Access will be closed from areas above the Rongpo Monastery, which is about 5,000 meters (16,400 feet) above sea level, said the report, citing remarks from Kelsang, the deputy director at the nature reserve. A new camp for visitors will be set up about two kilometres from the original one, reported Xinhua. The Everest region, part of which belongs to neighbouring Nepal, has seen a growing number of tourists and mountaineers in recent years. In 2018, the Himalayan nation saw the number of tourists jump nearly 25 percent as it welcomed a record high of 1,173,072 visitors. Last year also saw a record 807 climbers reach the summit of the world's tallest mountain. But the growing popularity of the mountain has lead to mounting levels of trash -- and corpses. In addition to its ban, China also plans to focus on removing the bodies of mountaineers above 8,000 meters (26,000 feet) and will limit the number of people at its base camp to under 300. In 2018, China conducted three clean-up sessions above 5,200 meters (17,000 feet), said Xinhua in its report, collecting "more than eight tonnes of household waste, human feces and mountaineering trash." Local authorities in Tibet officially announced its ban to higher-altitude areas of Mount Everest in December.